Welcome to the Quality and Assurance Management Tutorial offered by Simplilearn. This tutorial is a part of MSP® Foundation and Practitioner course. In the previous lesson, we focussed on risk and issue management. In this lesson, we will discuss quality and assurance management. This is the last governance theme in the MSP® framework. It ensures that all the management aspects of a program are working appropriately and that the program stays on target to achieve its objective. This lesson covers the scope of the quality of a program and an overview of assurance management. This lesson also focuses on the relationship between quality and assurance management and the transformational flow. It covers the various roles and their areas of focus in quality and assurance management. In addition, it focuses on the information in the documents used in the process. In the MSP diagram shown below, Quality and assurance management is a part of governance theme and is positioned in the middle circle of the MSP® framework. Quality and assurance management ensures that all the management aspects of a program are working appropriately and that the program stays on target to achieve its objectives. If a program does not apply quality and assurance effectively to its management activities, then it is less likely to achieve its objectives and deliver the anticipated value and benefits. In the next section, we will focus on quality and assurance. Let us begin with quality. Quality is defined as the totality of the features and inherent or assigned characteristics of a product, process or system, which shows that it meets expectations, requirements or specifications. Now we will discuss assurance. Assurance is the systematic set of actions necessary to provide confidence to the Senior Responsible Owner or SRO (read as S-R-O) and the stakeholders that the program remains under control. It also assures that the program is on track to deliver and it is aligned with the organization’s strategic objectives. Quality and assurance management is an ongoing activity, which runs throughout the lifecycle of a program, and the main aim of the process is to achieve the right level of quality. In the next section, we will discuss the differences in the quality and assurance management at the program and project levels. In a program, the focus is on the management, processes, and alignment with the environment in which it exists. These may change during the life of the program to reflect the organization’s changing strategic priorities. Quality and assurance management in a program must ensure that these corporate priorities are fully understood and that the program’s blueprint and plans remain aligned with them. In a project, the management of quality is focused on ensuring that the outputs will meet the acceptance criteria and that they are fit for the purpose. Example: In a PRINCE2® project environment, the outputs need to meet the specifications as given in the product descriptions. Program-level quality must ensure that the project-level quality is delivering the fit-for-purpose capabilities which enable the program to deliver the outcomes and benefits. In the next section, we will cover the quality and program management principles. Program management principles describe the characteristics of a successful program and act as the critical success factors. When planning for quality in the program, the principles should be the main focus of the areas to be assured as they represent the factors that will determine whether the program is successful or not. There are many ways that illustrate how the program management principles can be tested to ensure that the program is being delivered optimally. The first principle, ‘remaining aligned with corporate strategy’, can be tested by checking the validity of the vision statement, blueprint, business case, and benefits realization plan, having the right projects running and checking the currency of the governance strategies. The second principle, ‘leading change’, can be tested by reviewing the quality of the leadership and behavior exhibited by the people in the program, and the impact they have created on the stakeholders. The third principle, ‘envisioning and communicating a better future’, can be tested by the level of engagement that the program is achieving, and the understanding of what the program intends to deliver and also the benefits that should be realized. The fourth principle, ‘focusing on benefits and threats to them’, can be tested by checking that the benefits are a permanent item on the program board agenda, all the benefits information are in place and up to date and the projects are clearly aligned with the benefits. The fifth principle, ‘adding value’, can be tested by assuring that the program is justified in its current form. Changes in the corporate portfolio may lead to more optimal delivery configurations than the ones which existed at the outset. Else, it may be the case that the program has served its purpose and should now be closed. If a program does not add any value to the group of projects, it is better that projects are not treated as the program. The sixth principle, ‘designing and delivering a coherent capability’, can be tested against the validity of blueprint, the ability of the projects to deliver the capability and the ability of the organization to adopt it. The seventh principle, ‘learning from experience’, can be tested by how effectively reviews are done and how well the lessons from these and the previous changes are utilized. It can also be tested by the effect the reviews have on the program and business performance metrics that are used to measure the internal effectiveness. In the next section, let us learn the scope of program quality. The program principles set out the areas that are critical to the success of a program, but the scope of quality is broader than the rest. There are eight process areas that require a management review of their effectiveness in supporting the program objectives. The image shown summarizes the key elements to consider when developing and deploying quality and assurance management in the program. Let us begin with the first process area, the communications plan. In the communications plan, quality management activities need to focus on testing the perceptions of the success of the stakeholders. Communications management needs to deliver the needs and expectations of the stakeholders. Information management provides support for decision-making by providing the right information. Quality has to ensure that the data satisfies the critical success factors. Process management ensures the systematic use of defined processes in a program. Quality in a program needs to make sure that the processes are adapted appropriately and used systematically. Asset management is done via information control. Quality has to ensure that all the assets are fully utilized. Program leadership is critical to a program’s success. It should be demonstrated by the quality of decisions taken in the program. Leaders of successful programs provide clear direction and communicate the same to the stakeholders inside and outside the organization. In people management, quality activities should make sure that principles such as leading change, envisioning and communicating a better future and learning from experience are followed diligently. Ensuring the Welfare of people through training, reward and career development should be managed carefully. Standards management should adhere to the defined processes in the program. Quality management activities assure the suitability of the program management activities. Supply chain management optimizes the use of resources. Quality in a program has to ensure that the suppliers apply quality management to their processes. In the following sections, we will discuss all of these processes in detail. Let us start with communications management in the next section. How about investing your time in MSP Certification now? 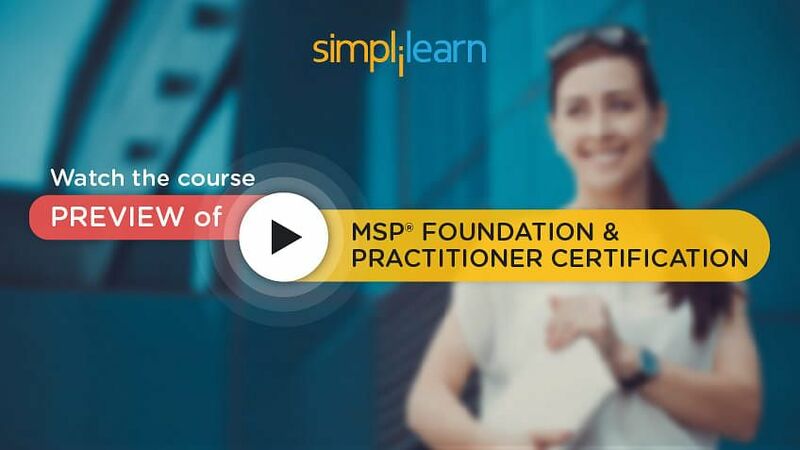 Take a look at our MSP Foundation and Practitioner course preview NOW! Communications management refers to the management of process and quality of application rather than just the communication engagements made for the stakeholders. The program will need to segment its stakeholders to effectively communicate with them and to understand and deliver their requirements for the change. The program should know and understand the stakeholders by developing sound working relations. The stakeholders’ future needs and expectations should be anticipated, and they should act accordingly to meet or exceed the needs or expectations. Monitoring and reviewing the experiences and perceptions of the stakeholders is also required. This is to ensure quick and effective responses to rectify the situation where deliverables do not meet the required quality. In the next section, we will focus on information management. The core purpose of information management in a program is to provide the right information, in the right format, to the right people at the right time. One such factor is ‘compliance’. Information management should be compliant with the organizational policies and applicable legislation, such as data protection, freedom of information legislation and requirement in terms of length of retention for personal and financial records. Another critical success factor is ‘information integrity’. Information integrity should be maintained under change and release management control. The audit should be considered for checking whether distribution systems are working. The next critical success factor is the ‘availability of information’. It means that the information should be available for decision makers whenever they need it. Another critical success factor is ‘confidentiality’. Levels of confidentiality should be set within the program. Appropriate levels of sensitivity should be allocated to the documents and their distribution should be limited. This will also require an audit trail. The next critical factor is ‘currency’. Information should reflect the current situation. Otherwise, old data might lead to incorrect decision-making. In the next section, we will discuss process management. To function effectively, a program must deploy processes with the appropriate level of specification and rigor to get the job done. Quality in a program needs to ensure that the processes are adopted appropriately and used effectively. Attaining the program objectives in the most efficient and effective way. It will also help in understanding the interdependencies that are inherent in a process. If these interdependencies are understood, a plan can be made to ensure that no fallacies are caused by them. It can lead to integration and alignment of the processes in a way that will best achieve the desired results. Applying quality can also lead to following structured approaches that harmonize and integrate different processes. The team aimed at achieving program objectives should have the ability to focus effort on the key processes and ensure that systems are continually improving through measurement and evaluation. It can lead to establishing clear responsibility and accountability for managing key activities throughout the lifecycle of the program. In the next section, we will focus on asset management. An organization must ensure that its assets are managed well, to be fully effective. Assets can be varied, that is, it can be human resource, infrastructure or information. All assets of the program will be subject to planned and unplanned changes and should come under change control and configuration management. The assets can be grouped into external assets, program assets, and internal assets. External assets exist outside the program but change to those which could significantly affect the program, for example, legislation or corporate policies or strategies. Program assets are initiated by the program itself, for example, the blueprint and program plan. Internal assets interface between the projects and the program, for example, project progress reports or project initiation documents. In the next section, we will understand program leadership. Good leadership is critical to the success of a program. The application of the quality and assurance plan must ensure that good, effective leadership is in place. The leaders of successful programs provide clear direction and communicate the same to the stakeholders, both within and outside the program. The program’s leadership must establish a governance framework that provides adequate levels of control for the program, including the delegation of responsibility and deciding which quality review activities will be evaluated regularly. It is important to invest in building the skills and competencies of the Senior Responsible Owner or the SRO (read as S-R-O) to ensure that they are effective in their role as a leader. This is because there is no guarantee that an effective business leader will automatically make a good program leader. In the next section, we will focus on people management. People management is one of the important aspects of effective program management. It is highlighted by several governance themes, namely, leading change, envisioning and communicating a better future, and learning from experience. Quality activities should ensure that these are appropriately applied to get the best out of the people deployed on a program. The following steps need to be taken to ensure effective people management. It is important to ensure that appropriate induction training is given when people join the program. Reward mechanisms linked to individual performance must be in place to motivate the employees. Career development plans and a recognized role in the program must be in place to motivate the employees. It is essential to ensure that skills development and training linked to performance improvement are planned. Appropriate qualifications to benchmark are defined and evidence of knowledge performance is provided. This will ensure that employees are always striving for self-improvement. It ensures that proper exit plans are prepared to facilitate staff re-integration into the business once the role of the employee in the program is complete. In the next section, we will discuss standards management. All the standards are often reviewed at particular points, and it is necessary to manage changes effectively so that programs are also aware of them and can change accordingly. Many organizations have a quality management system that supports operations to ensure that their products and services satisfactorily meet their customers’ requirements. Program management activities need to ensure that planned changes continue to be aligned with the relevant parts of corporate standards and policies. Quality management activities assure the suitability of program management activities. 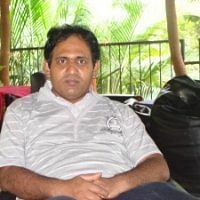 An information mechanism to alert programs of forthcoming changes in policies or standards will help them to assess the impact of proposals on planned changes. It can provide the mechanism to monitor policy change, which will ensure a smooth transition and provide input to policymakers. Programs need to be aware of which legislation and regulations will impact them. This is to ensure that project outputs and changed operations comply with them. In the next section, we will discuss supply chain management. A program depends on suppliers for providing goods and services. Examples of such goods and services include expert help in the form of a designer, a software developer, or raw materials provided by a supplier to a construction firm. Quality in a program needs to ensure that suppliers apply quality management in their processes. This ensures that the suppliers’ processes are aligned effectively with the way the program operates. Effective supply chain management provides agility and flexibility through the provision of resources and services as and when the program needs them. Effective procurement ensures that the right partners are selected, and they are managed effectively to ensure good program delivery. The program should utilize the expertise of its supply chain to build its internal knowledge and abilities while ensuring that it does not become dependent on suppliers. Kylie Honkele, the SRO of the program, Nutri Snack, at Nutri Worldwide Inc. has identified the need to work closely with the VP, Quality, and focus on the standards and information. However, the VP, Quality, has decided to extensively focus on not just quality of the material, standards, and information but also on the suppliers, communication, and people involved in it. Kylie has raised a concern over the increased cost. She wants to know the reasons and advantages of increasing the scope of the quality related activities. The VP, Quality, has also proposed a suggestion to have mid-tranche reviews instead of getting the quality review done at the end of tranches. Is the discussion going in the right direction? Let us find out the answer in the next section. The SRO and VP, Quality, share the responsibility to deliver the program, Nutri Snack, with the best possible quality. The following are the focus areas selected by the VP, Quality, along with the reasons for choosing them. They help to focus on program management and ensure that the program team is aware of relevant laws and regulations. The Information to be shared should satisfy the following factors such as currency, confidentiality wherever needed, availability and compliance. Effective communication will help in sharing the correct information with the stakeholders. It will also help to monitor and review the experiences and perceptions of stakeholders. It will help to focus on supply chain management and ensure suppliers provide quality products. It will help to focus on training, the reward mechanism, career development and employee satisfaction. Thus the discussion between the SRO and VP, Quality, has proceeded in the right direction. Assurance management ensures that a program is on track. It should satisfy the five assurance management principles to ensure the success of the program. The first principle is ‘independence', which means that the assessors should have no provision for direct line management of the program team. They should be disinterested in and have no control over the project outcomes or service operations. The second principle is ‘integrated’. Integrated assurance is the planning, coordination, and provision of assurance activities from the start of the program until the delivery of benefits in a way which provides greater assurance with less effort. This is achieved through an agreed plan which indicates how assurance reviews of all types will be scheduled to support decision-making. The third principle is ‘linked to major decision points’, which means that the assurance activity should be planned to support major events, outcomes and tranche ends, throughout the life of the program. The fourth principle is ‘risk-based’, which means that the assurance activity should be focused on the high-risk areas, such as commercial, legal, regulatory, investment and performance requirements. This activity should be based on an independent risk assessment. The fifth principle is ‘action and intervention’, which means that assurance is most effective when appropriate follow-up actions are taken to resolve any serious issues identified through the planned assurance activity. These activities may include further reviews of action plans and case conferences. In the next section, we will focus on assurance management techniques. Assurance management techniques are those techniques that help to assure that the program is being delivered optimally, that is, in the most effective way for the achievement of its purpose and objectives. These techniques are explained in detail in the forthcoming sections. Let us discuss the first assurance management technique, that is, audit, in the next section. The audit is a generic term and is not limited to the audit of financial accounts. It is often used to assess the management and conduct of a program. It involves the examination of activities of the program in order to determine the extent to which they conform to the specified criteria. The criteria may be internal or external standards, contract conditions or statutory requirements. Audits may be carried out by the internal or external audit team. Program audits consider any or all aspects of the program, including its management and the ability to deliver. We will discuss the next assurance management technique, that is, the effectiveness of measurement in the next section. To measure progress and assess performance, the inputs, resources, activities, and outputs prior to any planned change activity need to be measured. These will form the baseline. Similar data will be taken at different points throughout the program’s life. The data is then analyzed and reviewed at regular meetings. Assurance should ensure that measurements, analysis procedures, and systems are effective. This ensures effective decision-making. Measurement of the program’s outcomes to assess whether acceptable benefits are materializing. In the subsequent section, we will focus on assurance reviews, which is an assurance management technique. Audits tend to focus on conformance and compliance, while assurance reviews are used as a program assurance tool by senior managers to determine whether a program should continue. Health checks can also be used to provide an impartial view of the program. Without review, the findings of audits or other forms of program assessment cannot be evaluated properly by the program’s leaders. Review activities include inspection of information, meetings with key individuals or attendance at any meeting where decisions that affect the efficiency of the program are taken. The key areas to consider during a review should be based on the quality scope elements and the program management principles. One of the key focus areas is how well the program is controlling and enabling its projects, and whether the level of overhead is appropriate. The next focus area is how well the Business Change Managers or BCMs (read as B-C-Ms) are preparing the organization for change, and whether the benefits are being truly delivered. Another focus area is whether the internal processes and governance strategies are working effectively and optimally for the purpose of the program. We will discuss another assurance management technique, that is, P3M3 (read as P-3-M-3) maturity assessments in the next section. The level of organizational maturity in program delivery has a direct bearing on how well an organization is able to support its programs. The Portfolio, Program and Project Management Maturity Model or P3M3 (read as P-3-M-3) has been developed to offer a specific program management maturity model so that organizations can assess their effectiveness. The image shown below, depicts the Portfolio, Program and Project Management Maturity Model or P3M3. The next section explains the P3M3. The P3M3 uses a model with five levels of maturity, which will help to understand the context in which the program is delivering. The five maturity levels are awareness, which is the lowest level, repeatable, defined, managed, and optimized which is the highest level. This can be done by using the model to assess the maturity of projects within the program. The program can also use this model to measure itself against one or more perspectives such as stakeholder engagement. It can also use this model to ensure that it is working consistently with its projects. In the following section, we will focus on gated reviews which is the last technique discussed in MSP®. 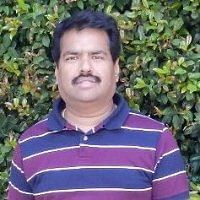 They are an ideal way to apply assurance controls to programs, as a program cannot progress to its next stage unless it has undergone a gated review. They can take place at the end of tranches and ensure that the program is under control and on target to meet the organization’s needs. Gated reviews should also be applied to projects to ensure that they are under control and aligned with the blueprint and program objectives. In the next section, we will focus on health checks. Health checks are essentially a quality tool providing a snapshot of the status of a program. The purpose of health checks is to objectively assess how well the program is performing with respect to its objectives and relative processes and standards. Let us cover these steps in detail below with sample scenarios that are tackled in health checks. Preparation for a health check involves identifying a clear scope for the health check with reference to audits or review standards. It sets out the roles and responsibilities, for example, it states that the Program Office will be responsible for the administration of all information related to the program. A team is identified and briefed about the expectations from them. Finally, all the documentation that has been agreed to be under the purview of the health check, is supplied to the review team. While identifying information requirements, the focus is on identifying the required records and audit trails, and deciding how the records should be recovered for scrutiny and how to validate the authenticity of the records. While undertaking the review, the best practice is to identify the areas of investigation based on reading the provided documents. Interview the key program members and investigate the key specific areas. The Review should be based on an appropriately adapted health check framework, namely, P3M3 or OGC gateway review process. To analyze review findings, a draft report is prepared focusing on the overall health assessment, areas of concern, recommended actions and agreed to the action plan. Establishing lessons learned will help the forthcoming health check cycles. It is essential to present the report in an agreed format and collate the agreed action plan in the final report. While agreeing to the corrective action plan, confirm the appropriate actions with the review team. Once the plan is approved, prepare a timeline of actions showing the effort. Once agreed by the review team, this timeline needs to be added to the final report for the health check. Follow-up is done to ensure that the agreed actions have been carried out. After follow-up, the effectiveness of the actions is assessed. Once verified, the health check can be closed or further reviews can be recommended. We will continue to discuss health checks in the following section. Is there a complete framework actively used, based on known good practice, adapted to the program and moderated by previous lessons learned? Is there a detailed set of stakeholders and are they being engaged effectively? Is it clear from the program brief as to what outcomes and benefits are required and how they are related to the organizational strategy? Is there a program plan and is it updated frequently? Was the business case developed to best optimize the mix of benefits, cost and time? Is there a common understanding about the program between sponsoring group and program team? Is risk management effectively embedded, with active management of risks to the delivery of benefits? These questions can be further divided based on each governance theme (with each theme having its own checklist), principle or transformational flows. In the next section, we will learn the quality and assurance strategy. A key focus of the quality and assurance strategy is to ensure that the integrated assurance of the program avoids multiple, overlapping reviews. The quality and assurance strategy should be established by an organization to provide strategic direction for its assurance regime. It applies to business change within the organization and its fundamental and integrated relationship with its financial approval and decision-making system. It should cross-reference the monitoring and control strategy. In the next section, we will discuss the quality and assurance plan. The Quality and assurance plan implements the quality and assurance strategy. The following are a few facts about the quality and assurance plan. The quality and assurance plan identifies the responsibilities for quality, assurance, review, and control. It describes how and when the program will carry out audits, health checks, and reviews. The plan also describes the resources needed for the successful completion of specific quality activities. It details how and when the work will be monitored and reported. The plan also provides input to ensure that the required resources and time commitment are a part of the program plan. It considers the assurance coverage of constituent projects and scheduling activities to avoid assurance overlap and overload. The plan should be developed using a risk-based approach to ensure that the assurance provision is appropriate and meets the requirements of all the parties who are in need of assurance. In the next section, we will discuss the relationship between quality and assurance management and transformational flow. There should be independent assurance of program brief and program preparation plan. It includes the creation of related strategies and plans. Quality and assurance, information management and formal review of the program are conducted prior to getting the approval to proceed. Corporate policies must be investigated and considered while developing individual strategies. Quality in processes, tools, and techniques that are described in individual strategies are embedded. Quality and assurance measures are applied to the program. In the next section, we will continue our discussion on quality and assurance management within the transformational flow. Strict quality regime is focused on product quality. Integrated assurance approach, which might include the gated review process, ensures that the regime is in place to cover program and projects. In this process, programs will regularly engage with suppliers. During pre-transition, there needs to be a focus on the assurance that the business is preparing for and is ready for the change. The transition should be handled optimally and critically. During post-transition, activities to embed the change and realize the benefits occur. Formal reviews of strategies and plans and other program documentation are conducted. In the next section, we will discuss the roles and their areas of focus in quality and assurance management. In this section, we will focus on the roles and areas of focus of the Senior Responsible Owner or SRO (read as S-R-O), Program Manager, Business Change Manager or BCM (read as B-C-M) and Program Office. Let us begin our discussion with the roles and areas of focus of the SRO. The SRO consults the Sponsoring Group on the approach to program assurance. He ensures that an adequate assurance regime is in place for all aspects of quality in the program. In addition, the SRO signs off the quality and information management strategies. Maintains focus on the program management principles. Next, we will discuss the roles and areas of focus of the Program Manager. The Program Manager develops and implements the quality and assurance strategy. He also plans and coordinates the delivery of outputs from projects that are suitable for achieving the desired outcomes and benefits. 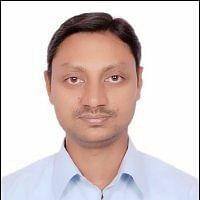 Further, he develops and implements the information management strategy and plan. Ensures that the lessons learned are implemented. Let us discuss the roles and areas of focus of the BCM. The BCM implements the transition, realization, and review of benefits from project outputs. He also initiates assurance reviews of change readiness and business performance. This will ensure that the business change lessons that are learned are implemented. Now, let us discuss the roles and areas of focus of the Program Office. It establishes and maintains the program’s quality and assurance plan as well as the information management plan. It ensures that appropriate audits, assurance, and review processes are carried out for the program as defined in the respective strategies. The program office also provides information to support the assurance reviews. In the next section let us learn the quality and assurance management documents information. In this section, we will discuss some documents used in quality and assurance management. Let us first focus on the quality and assurance strategy document. The purpose of the quality and assurance strategy document is to define and establish activities for managing quality across a program. The details of processes that will be used to track program performance against principles, key areas and success factors. It also includes integrated assurance arrangements for the program and aspects of the program that will be subject to review, and control and quality criteria to be applied. The quality and assurance strategy also includes information on how lessons learned will be managed. In addition, it includes the descriptions of functions, roles, and responsibilities of quality management and any link to independent assurance and trigger for these activities. The document also includes the details of actions taken as a result of the activities discussed and the interfaces with the corporate management systems and monitoring and control strategy. It also includes the specific standards and regulations that need to be followed. Let us now discuss the quality and assurance plan document. Provides an explanation of how the assurance arrangements will be deployed. It mentions who will undertake quality assurance and review and control activities aligned with the activities in other plans. It will also provide a description of how and when the program will conduct audits, health checks, and reviews. It provides information on how and when the work quality will be monitored and reported and mentions the estimated effort and cost. The plan also contains the schedule for planned assurance review. Quality and assurance management ensures that the program stays on target to achieve its objectives. Quality is defined as the totality of the features and inherent or assigned characteristics of a product, process or system, which shows that it meets expectations, requirements or specifications. Assurance is the systematic set of actions necessary to provide confidence to the SRO and the stakeholders that the program remains under control. The program management principles can be tested by checking the validity of the vision statement and blueprint and reviewing the quality of the leadership. The scope of program quality is determined using processes such as communications management, information management, people management and standards management. 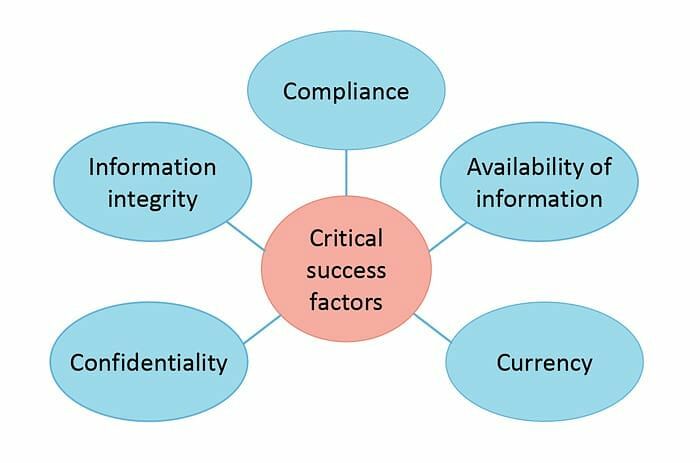 The critical factors that support the information management system are information integrity, availability of information and confidentiality. A process is a set of related activities that are carried out in a defined order. Assets can be grouped into external, program and internal assets. The five assurance management principles are independence, integrated, linked to major decision points, risk-based and action, and intervention. 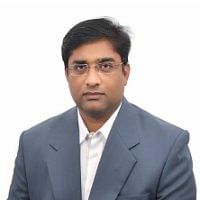 The assurance management techniques are audits, the effectiveness of measurement, assurance reviews, P3M3 maturity assessments and gated reviews. The P3M3 has been developed to offer a specific program management maturity model so that the organizations can assess their effectiveness. A health check is a quality tool that provides a snapshot of the status of a program. The quality and assurance strategy ensures that the integrated assurance of the program avoids multiple overlapping reviews. The quality and assurance plan identifies responsibilities for quality, assurance, review, and control. The relationship between quality and assurance management and transformational flow can be defined on the basis of identifying a program, delivering capability and closing the program. The documents used in quality and assurance management are the quality and assurance strategy and quality and assurance plan. With this, we come to an end to the tutorial on Quality and Assurance Management. In the next chapter, we will learn about Identifying a Program.